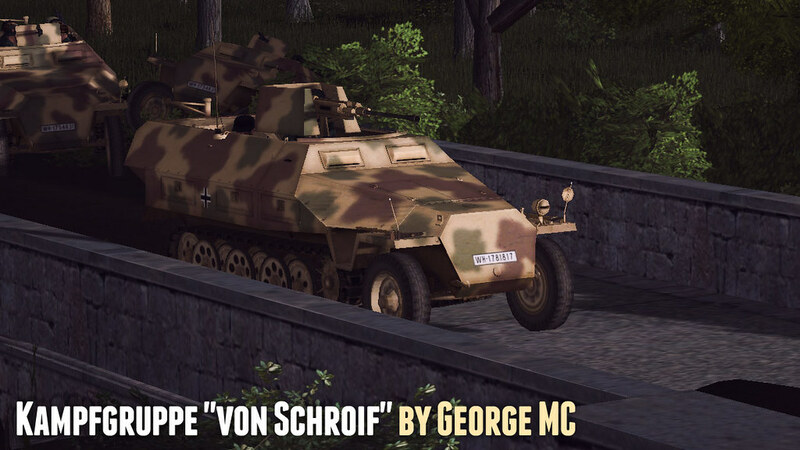 In the campaign you take the role of 1 Kompanie Commander Hauptmann Hans von Schroif, of the 3rd Panzer Division’s (Known as the Berlin Bear division – the bear features on the city coat of arms) I(gep)/PzGrn Rgt 3 equipped with half-track carriers (SPW). 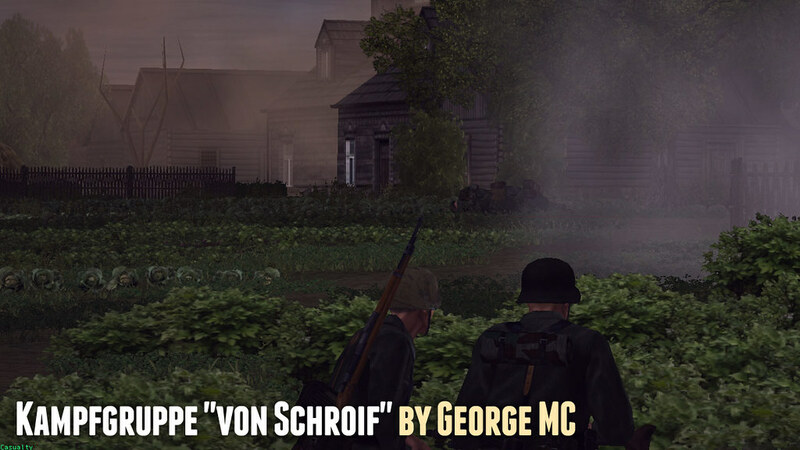 Hauptmann von Schroif - AKA you - has been tasked with commanding a small kampfgruppe, to which has been attached the 6 Kompanie (Panzer IVs) under the command of Hauptmann Eric Faust. 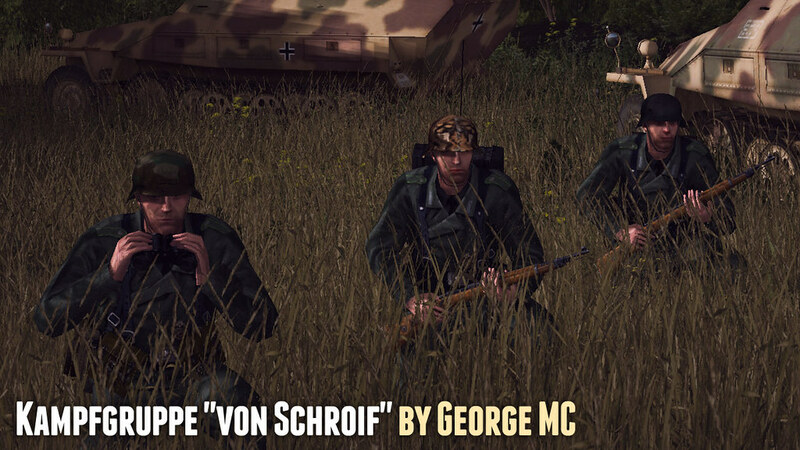 You have a sister kampfgruppe – commanded by Hauptmann Krüger – with roughly the same make-up, SPW and PzIVs. Krüger is a glory hunter with a desire for a Knights Cross. Correspondingly his unit is very aggressive. Other elements from Division will be attached given the situation – mostly recce units from Aufklärungs-Abteilung 3 (AA3). Rambler's CMBS Trees and Hedges (yup CMBS mod but it works in CMRT). You can grab a slightly tweaked version 3 (some minor changes made to the first mission and corrected some typos in the brief) from TSDIII HERE. I'd like to try it out George. This sounds really great. I'm looking forward to it, as I do all your projects. They are always so well done. RL is killing me right now, but if you don't get a lot of responses, I can fit in some testing here and there. I find it interesting that you were able to incorporate one of SeinfeldRules's scenarios. I find his work extremely enjoyable as well. Have not expirience with beta testing campaigns but more than willing to sneak around and take some pictures . 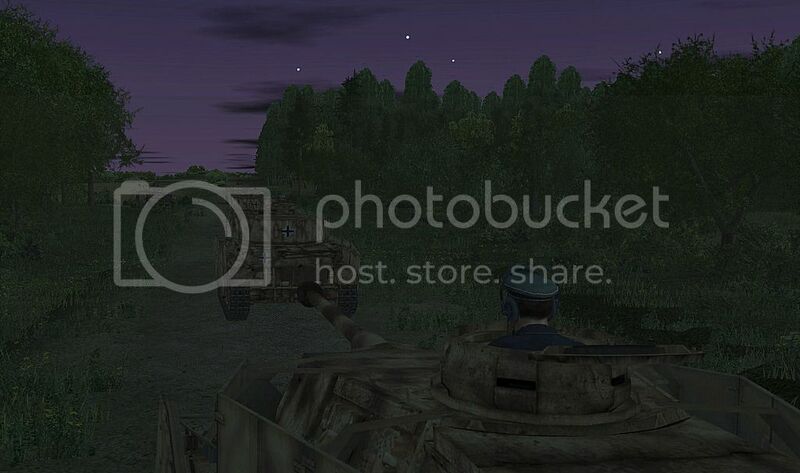 Is this part of the Lvov–Sandomierz Offensive? "The Lvov–Sandomierz Offensive is generally overshadowed by the overwhelming successes of the concurrently conducted Operation Bagration that led to the destruction of Army Group Centre. However, most of the Red Army and Red Air Force resources were allocated, not to Bagration's Belorussian operations, but the Lvov-Sandomierz operations"
Aye it it - specifcally the German counterattacks by 3rd (specifically) and 19th Pz Divs to clear the Sandomierz bridgehead around the 11th August. A great ref The Battle for L'Vov translated by David M. Glantz and Harold S. Orenstein Ch7 page 91. I've also used the 3rd Pz Div history "Armoured Bears" vol 2. Interestingly there are significant differences in accounts and dates between the two volumes. A few screenies from the campaign. Whereas if you manage to stick to the attack timetable and wow your battalion commander you can end up with the same mission but in early evening. Although that can be troublesome in it's own right. This campaign sounds very interesting, from the setting, units involved to the day and night possibilities. The screenshots looks very atmospheric. Very nice. I'll have to go back to my Armored Bears Vol II to reread that section. Looking forward to seeing this one come out. 05:07 Bridge crossing completed. It's scouting time. I finally got some time to play the first mission last night. Objectives AZ001, AZ002, AZ004 and AZ006 were easily taken, so I figured objective PRIGNITZ was going to be a cakewalk. 3 large plumes of billowing smoke are now spewing out of my precious panzers... I'm restarting the mission! Great map and the briefing is really, really well done, I'm looking forward to having another crack at the first mission again tonight. Really pleased you like the briefing and the map. Tremendous.. fantastic the way you keep them coming. Don’t stop!!! As with many of your fans a real CM event when you release stuff :). Will save it for when I have time to really appreciate it.. something to look forward to. Thanks very much @kipanderson for the fullsome praise I'm getting a ton of help from the guys who are playtesting the campaign currently. It's due to the efforts of playtesters such as these guys - and yourself in the past - that help make scenarios more polished and, hopefully, more enjoyable. We should have wee playtester awards you can have added to your forum profile - like campaign medals! I was so pride to take this bridge and than the bug pop up! Well, beta testing is for discovering bugs. 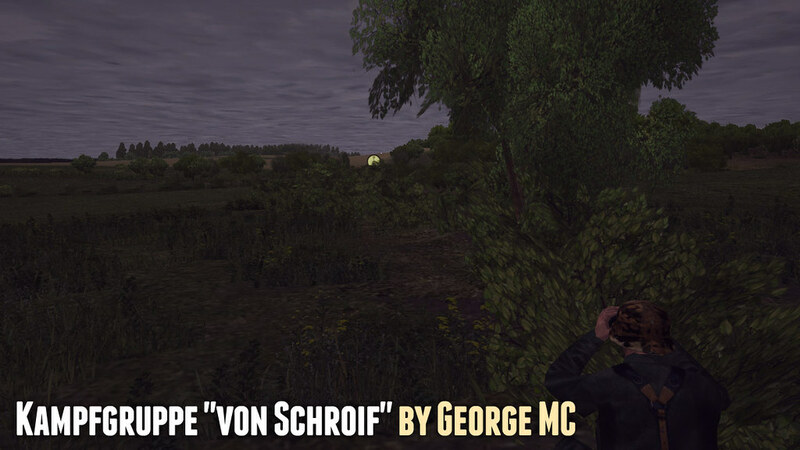 @George MC You probably doesn’t have to do anything with this, but must report if there are ways to fix it. Other than bridges, pure excellency . Panzer IV was on a fast move and one waypoint before, another after the bridge. I knew that I just don't like those CM bridges. Thats a new one...I have never seen vehicles rubber band on bridges before, this didn't happen to my armor when playing that mission. Neither have i...That looks weird. I had no problem either when playing this mission. I did not put waypoints on both sides of the bridge...Worked just fine anyway.